So without further ago let’s warm things up a little on this chilly Monday with the third of our Tales of the Forgotten teaser posters. 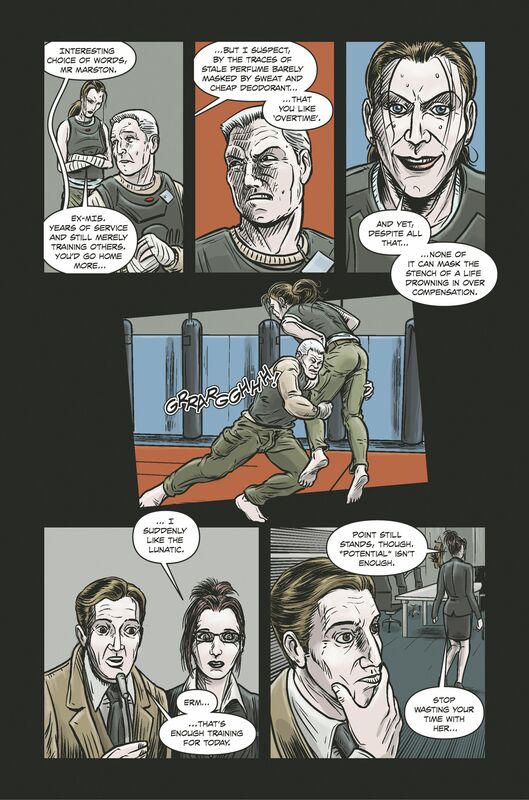 Today’s third of four teasers focuses on the six page short story Fight or Flight. This is a first for Unseen Shadows as it features Victoria Sullivan, a character never featured in Fallen Heroes but created for the audio drama Empire of Blood’. Fight or Flight give a little more background into the character as well as a closer look at the Icarus Foundation for which she works. 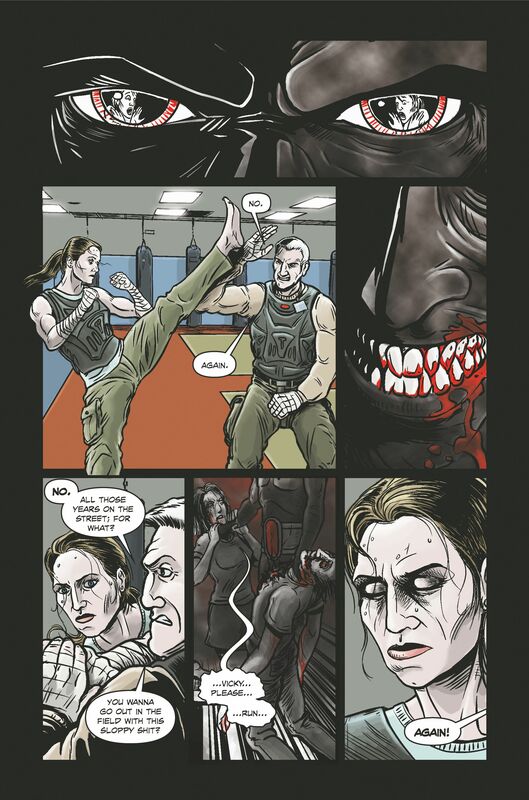 Fight or Flight written by Corey Brotherson, with art by Jorge Oliveira and lettering by Paul Mclaren. 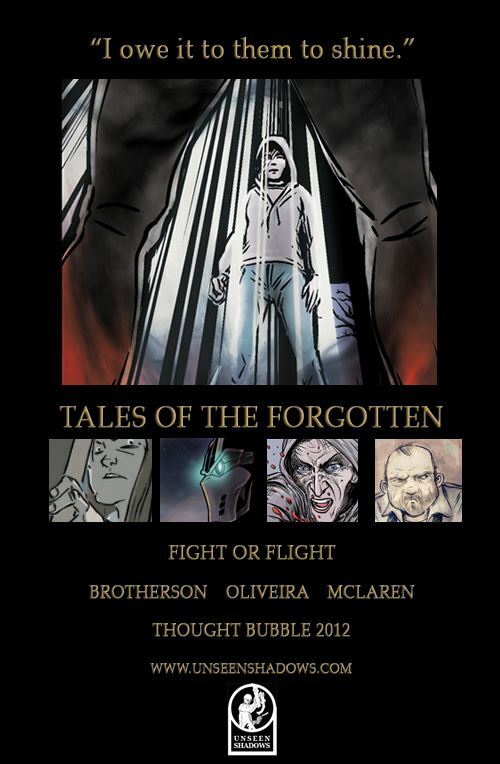 Tales of the Forgotten will be launching at Thought Bubble 2012. Any reviewers interested in receiving a review pdf can contact Sara Westrop at sara.westrop@unseenshadows.com. “Writing the Fight or Flight was a leap into the unknown. Leaving your mark on the blueprint of a character in this case, the origin story of the irrepressible Victoria Sullivan – is always a challenge. You don’t want to alter what made the audience like the character in the first place, but at the same time you have to show them in a ‘newborn’ state, as it were; how they were before they became the person they’re loved for. All while marking a noticeable change in their personality from the start of the story to its conclusion. 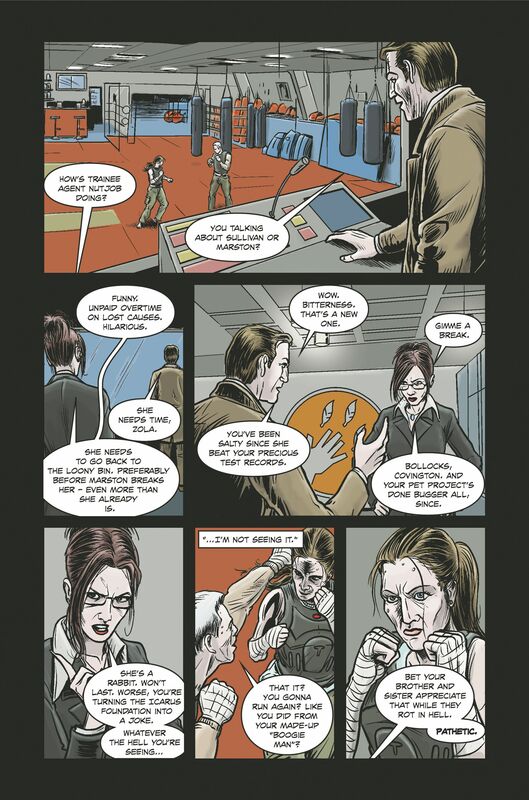 Thankfully, even in six short pages, Victoria is the sort of character who is immediately fun to write. She’s as happy breaking someone’s spirit as she is breaking the rules, and woe betide anyone who dares to cross her. Fight or Flight shows her vulnerable yet focused; a control freak who is struggling to control her own emotions in a long and torturous game of revenge.